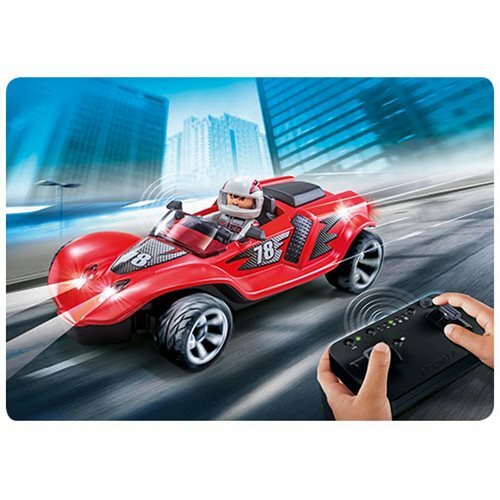 Check out the Playmobil RC Rocket Racer car with cool light effects! Controlled via Bluetooth using the supplied remote control (2.4 GHz) or the remote control app, which is available free of charge. The remote control requires 3 x 1.5 V "AAA" batteries. The vehicle requires 4 x 1.5 V "AAA" batteries. Batteries not included.